In the business of manufacturing the finest leather for the automotive industry, Bridge of Weir has supplied to some of the most iconic cars of the last century. At the Concours of Elegance this year Bridge of Weir’s stunning display will be celebrating some of these incredible cars, in its ‘Century of Iconic Interiors’ feature. A 1920 Ford Model T is an example of the very first automotive customer to Bridge of Weir Leather Company, a relationship that dates back to 1911 when the model first entered production in the UK at Trafford Park in Manchester. The relationship between Bridge of Weir and Ford Motor Company continues to this day. And from the modern day, Bridge of Weir will be showcasing an Aston Martin DB11 – the latest supercar from one of Britain’s most iconic manufacturers. 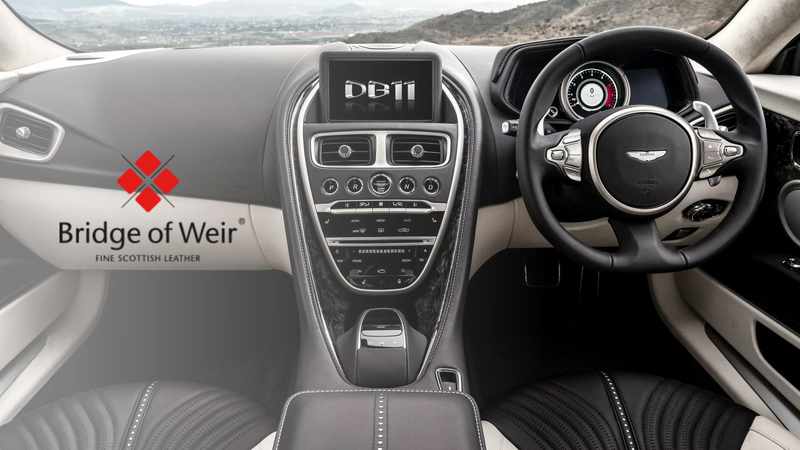 Bridge of Weir has supplied leather to Aston Martin since the ‘60s, and the company uses more of their leather per car than any other. Now in its second year sponsoring the Concours of Elegance, the Bridge of Weir display can be found on the lawn in front of Windsor Castle. Watch a video on its history by clicking here.